Bristol Blitz - a Memory of Bristol. 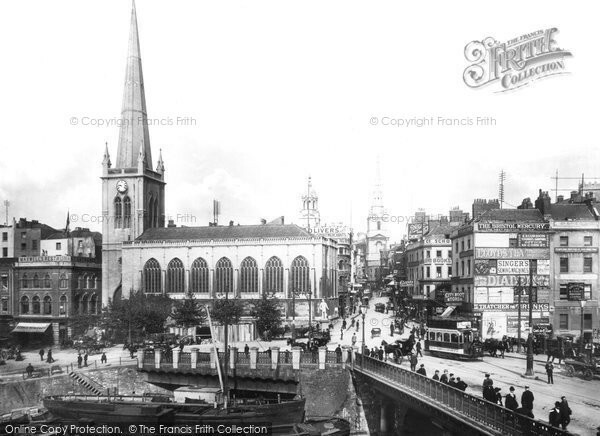 The High Street - the scene of many stirring events in Bristol's history and the heart of the city - was destroyed and lost forever during the Second World War. As a city with docks and industry at its heart, Bristol was a natural target for German bombing during the Second World War. The German Luftwaffe were able to trace a course up river from Avonmouth using reflected moonlight. This path brought them right into the heart of the city. The presence of the aircraft manufacturing industry in Filton, North Bristol, also added to the likelihood of the city being a bombing target. There were six major bombing raids between 24th November 1940 and 11th April 1941. During this time over 1,400 people were killed and much of the built environment of the city centre was destroyed. During the first air raid almost a quarter of the medieval city (the area of Castle Park), historic buildings (the 17th-century timber-framed Dutch House and St Peter's Hospital), and four churches (St Peter's, interior of St Nicholas, St Mary-le-Port and Temple) were destroyed. The Castle district was one of the worst hit areas and it has never really recovered. It used to be home to the jolliest of pre-war cinemas, shops, and cafes, frequently full of shoppers and revellers, daytime, evening or weekend. However, after the war the large areas of dereliction failed to be redeveloped effectively into such a lively social area. Broadmead emerged as the central area for shopping in post-war Bristol. In the late 1990s a large shopping mall at Cribbs Causeway was developed and it soon became a major shopping centre for the region. Future developments of Broadmead are now underway and this will hopefully see the centre of Bristol as a thriving shopping district once again. A memory shared by Paul Townsend on Dec 5th, 2009. Send Paul Townsend a message. Add a memory of Bristol.